Former England goalkeeper Peter Shilton has criticised Gareth Southgate's decision to recall Wayne Rooney for a one-off cap against the USA. Southgate and the FA have decided to include Rooney in the squad for the upcoming friendly, which will be shown live on Sky Sports Main Event on November 15. 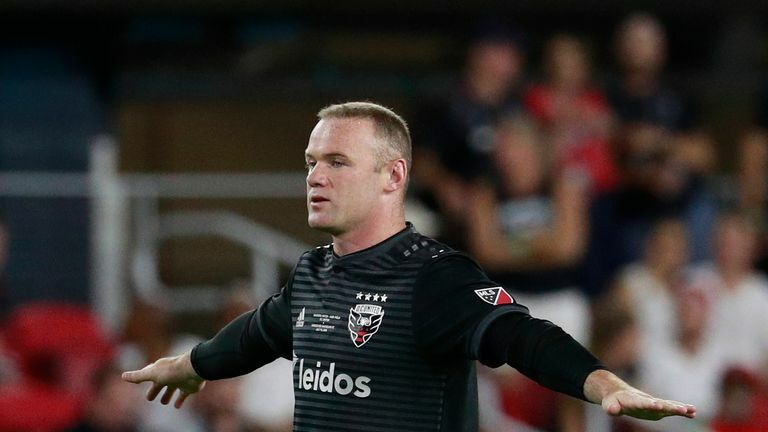 The match will be called The Wayne Rooney Foundation International in support of Rooney's charitable interests, and the DC United striker is expected to win his 120th cap at Wembley. But Shilton, who holds the record for the most England appearances with 125, disagrees with Rooney's recall. He wrote on Twitter: "I don't agree with giving Wayne Rooney a cap against USA, caps should be given on merit! "Honour him by a presentation on the pitch and let the youngsters do the job!" England will use the match against the USA as preparation for their UEFA Nations League match against Croatia on November 18. Gareth Southgate's side are currently two points behind group leaders Spain with one match remaining.